Man Ape is a Wakandian villain that frequently battles the hero the Black Panther.. Man Ape is domestic rival for the the thrown of Wakanda and challenges the path that the Black Panther has taken the nation. Man Ape is also a reoccurring villain of the Avengers. Man Ape will appear in the MCU film Black Panther and is set to be played by actor Winston Duke. In the MCU he has not referred to by the moniker of Man Ape but instead called by his real name of M'Baku. M'Baku is a great warrior in Wakanda 2nd only to T'Challa the Black Panther. T'Challa begins to drastically modernize and technologically enhance the country of Wakanda. M'Baku believes the country is losing its identity and he wants T'Challa to stop. 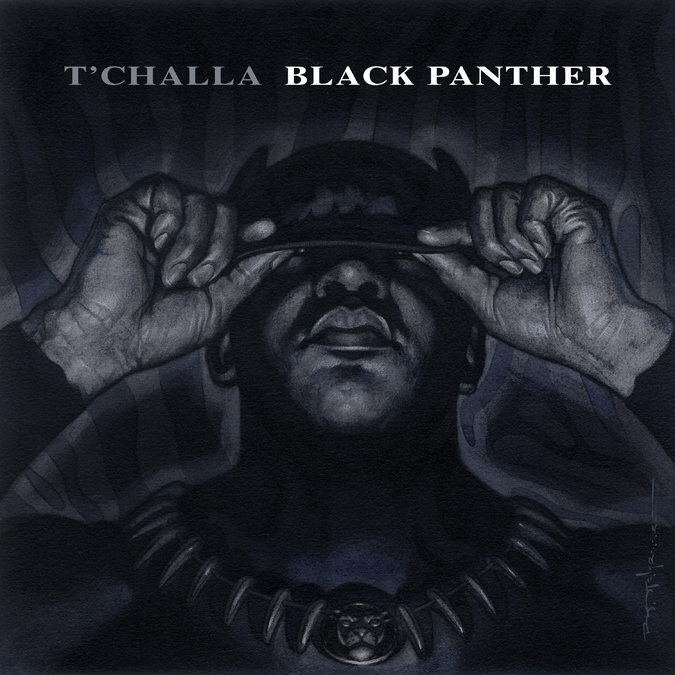 However, T'Challa is if anything accelerating the level of change. Disenchanted with T'Challa's rule M'Baku begins building a small army of allies who want to return Wakanda to a more traditional state. When T'Challa leaves the country on Avengers business M'Baku sizes the opportunity. He recreates the forbidden White Gorilla cult. Then he hunts and eats one of Wakanda white gorillas in a ritual. The ritual gives M'Baku the strength of a gorilla. He then changes his name to Man Ape. When the Black Panther returns Man Ape attacks him and defeats the hero. However, the Black Panther is saved when the giant totem he is tied to falls and seemingly kills Man Ape. Man Ape is brought back to life and continues to be a thorn in the side of the Black Panther. He joins numerous villainous groups like the Lethal Legion. Despit their differences he is invited to attend T'Challa's wedding to the Ororo Munroe the X-Woman Storm. At the wedding Man Ape gets drunk on skotch and attempts to pick a fight with Spider-Man. Spider-Man does not take his bait. Man Ape is later seen killed by the devourer of totems, Morlun. He has subsequently been revealed to be alive but this has not been explained. Man Ape is a very gifted warrior with the strength of a white gorilla. Man Ape is represents a different more traditional opinion on the changes within Wakanda. While Klaw is the catalyst for the changes in the country, Man Ape is a back seat driver. He is a bit like the guy who always thinks he could do better than the leader. Man Ape is also a very strong and powerful foe who actually beats the Black Panther numerous times but never manages to kill him. Actor Winston Duke is set to play Man Ape in the film Black Panther (Release date Feb 2018). Winston is known for his role Dominic in the show Person of Interest. He also had a role in the show Messengers playing the character Zahir Zakaria. Winston is a pretty big actor standing at 6 '6 1/2" and certainly fits the bill for the physically imposing Man Ape. M'Baku is not the main villain in Black Panther however he is another major player in Wakandan politics. His White Ape clan represent a more traditionalist mind set that disagrees with both T'Challa and Erik Killmonger. He battles T'Challa for leadership of Wakanda in a ritual of martial combat. After losing the battle he retreats into the mountains around Wakanda. Later he gives T'Challa and his family aid and harbor after the coup by Erik Killmonger. Why is M'Baku not called Man Ape? Nate Moore Producer of Black Panther explained to Entertainment Weekly that M'Baku will not be called Man Ape in the film as they felt the character could be crossing into dangerous territory. "We do call him M’Baku. Having a black character dress up as an ape, I think there’s a lot of racial implications that don’t sit well, if done wrong. But the idea that they worship the gorilla gods is interesting because it’s a movie about the Black Panther who, himself, is a sort of deity in his own right." "In M’Baku’s worldview, T’Chaka made a huge mistake going to the U.N.," Moore adds. "‘We should never engage with the outside world. That’s a terrible mistake. And if his son is anything like his father, I don’t support him being on the throne." Toylab is a member of the Amazon Affiliate program which allows to find awesome deals on Black Panther merchandise and link them directly on our site. I normally only recommend 4 trades from Amazon however I have linked directly to 8 here. I highly recommend Don McGregor's Black Panther Jungle Action the 1973series which fleshes out Wakanda. 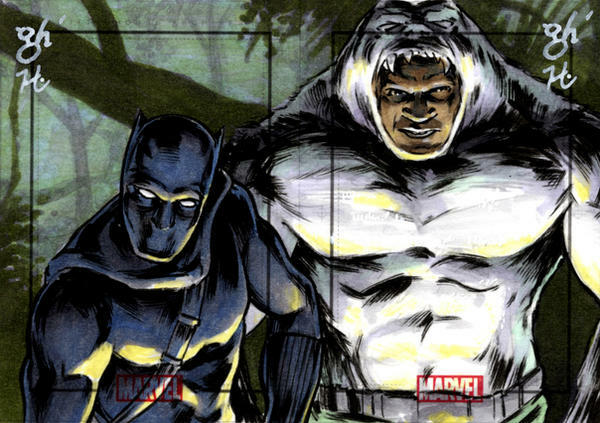 I grew up on and love Christopher Priest's Black Panther that modernized the character. The recent Black Panther: A Nation Under Our Feet is also phenonemal, while being very different from all other comics. Here are my favorite Black Panther Toys. The Mask, Funko, Marvel Legends figure and the Lego Set from Captain America: Civil War. This will be updated once the Black Panther film comes closer.